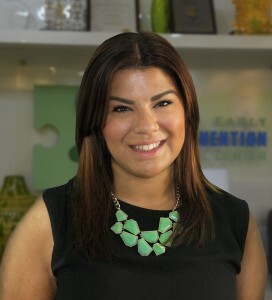 Dr. Fiona Desira, DclinPsy,at Child Early Intervention Medical Center, Dubai is a British trained Clinical Psychologist, with a Degree in Psychology, Masters Degree in Health Psychology and Doctorate in Clinical Psychology. She specializes in working with children, young people and the families of those with developmental delays, learning disabilities, emotional and behavioural difficulties. Dr. Fiona is highly specialized in the field of Autism Spectrum Disorders (ASD), having established and led diagnostic services within the UK. Dr. Fiona is an Honorary Lecturer at the University of Teesside. She is a member of the Health Professionals Council, British Psychological Society and a committee member for the North East regional branch of Association of Child and Adolescent Mental Health. 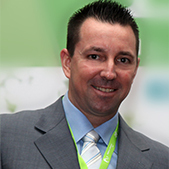 Jason Garner, M.A is the Clinical Director of Applied Behavioral Therapy at the Child Early Intervention Medical Center in Dubai. He graduated as a Behavior Analyst with a B.A in Psychology from The University of Southern California and completed an M.A. in Psychology from The University of Nevada. He has worked in the field of ABA for 18 years, provided in home supervision and has taught parents and therapists how to deliver ABA programs that have been specifically designed for many children of ages ranging from 1.5 years to 22 years. He provides workshops on challenging behaviors, and teaches individuals how to implement behavior support programs in the home, community and school settings. Furthermore, he provides consultative support to individual families and school districts in several other countries. 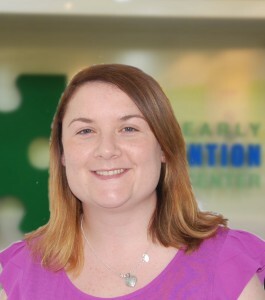 Carrie is the Assistant Clinical Director at Child Early Intervention Medical Center in Dubai. She graduated from and received a Bachelor of Arts degree in Psychology from Auburn University in Auburn, Alabama, in May 2003. She then received a Master of Science degree in Applied Behavior Analysis in Developmental Disabilities in August 2004 from Auburn University. In December 2004, Carrie received her certification from the Behavior Analyst Certification Board (BACB®) and became a Board Certified Behavior Analyst (BCBA®). Carrie has been working in the field of Autism and Developmental Disabilities for 11 ½ years in settings spanning across adult group homes and day centers, child day centers, and school and residential facilities in America and Europe. She has worked with individuals from age 2 to age 50 and across a vast behavioral repertoire. Throughout her career, Carrie has been involved in individual programmatic work, organization-wide and State-wide policy reform, expanding the awareness and services of Autism and Developmental Disabilities, and the opening of an ABA school in Ireland. Nicole received a Bachelor of Science in Social Psychology in 2005. She graduated with a Master’s in Applied Behavioral Analysis from the University of Ulster in Coleraine in 2013. In November 2016, Nicole received her certification as a Board Certified Behavior Analyst (BCBA). She is also a licensed Behavior Analyst in Dubai Healthcare City. Nicole has experience working in the field of developmental disabilities and autism for 14 years. 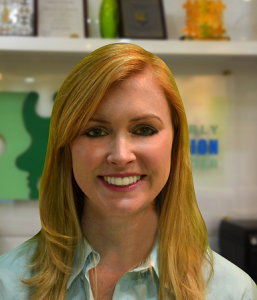 Nicole has worked using the principles of Applied Behavior Analysis in Ireland, United States and the Middle East. Throughout her career Nicole has worked in clinic, residential, school and community settings. Nicole has trained parents to implement programs at home, and therapists in clinic and school settings. Her clinical interests include early intervention, independent living skills and functional analysis of behaviors that challenge. Hazel is a member of the American Speech-Language Hearing Association (ASHA) and currently holds a Certificate of Clinical Competence (CCC-SLP) from ASHA. 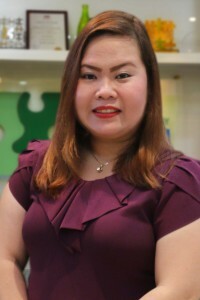 She is an international member of Philippine Association of Speech Pathologists (PASP), International Reading Association (IRA), Reading Association of the Philippines (RAP), and National Association of Special Educators, Inc. She earned her Master’s in Speech Pathology from University of the Visayas and Master’s in Learning and Teaching from De La Salle University, Philippines. She has also obtained an Alaska History and Multi-Cultural Education Certification from Alaska Pacific University, Alaska, USA. Hazel worked as a full-time Speech and Language Pathologist at Fairbanks North Star Borough School District in Alaska, for 3 years. 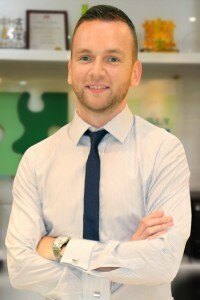 Dr. Paul Gelston, originally from Ireland, is a UK-trained Clinical Psychologist, with a Degree in Psychology from Queen’s University, Belfast, a Postgraduate Diploma in Cognitive Behavioral Therapy (CBT) from the Institute of Psychiatry, King’s College London, and a Doctorate in Clinical Psychology from University College London (UCL). Dr. Paul has over 10 years of experience working in a variety of healthcare settings, and holds specific clinical and research interests in child and adolescent development and mental health, Autism Spectrum Disorders (ASD) and psychological assessment from birth to 18 years old. His additional training in CBT means he is also equipped to treat a range of mental health problems using this evidence-based therapeutic approach. Dr. Paul has interests in the cultural, ethnic and religious influences on psychological well-being and treatment. He has a passion for widening access to psychological knowledge and expertise to children, young people and families who may find it difficult to access services. Additionally, Dr. Paul believes passionately in reducing the stigma around mental health, developmental disorders and receiving psychological support. He is registered with the Health and Care Professions Council (HCPC) in the UK. 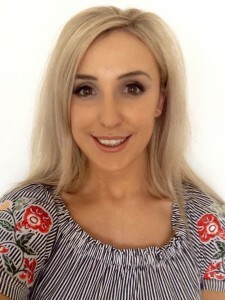 Nicola, originally from Ireland, completed her Bachelor’s in Occupational Therapy from Trinity College Dublin and then obtained a Postgraduate Certificate in Sensory Integration at Ulster University. She is licensed by Dubai Healthcare City as an Occupational Therapist and is registered with the Health and Care Professions Council (HCPC) in the UK. Nicola is also a member of the Royal College of Occupational Therapists (RCOT) and the SI Network (UK and Ireland). Nicola has over five years’ experience working in children’s services across Ireland and the United Kingdom. Nicola’s training equips her to assess the impact of sensory integration difficulties and motor coordination difficulties on a child’s functional performance in everyday activities and how best to support children in their different environments including at home and at school.